In 2019 the ITM library continues to offer you more of the same, i.e. access to the biomedical literature resources available last year, but with ever increasing numbers of e-journals and e-books, . . .
New E-journal content: Medline Complete: full-text of over 2,300 journals indexed in Medline / . . . The library of the Institute of Tropical Medicine (ITM) in Antwerp specialises in literature on tropical medicine and international health, epidemiology, infectious and parasitic diseases, microbiology (bacteriology, virology, mycology), parasitology (protozoology, helminthology), medical entomology, and tropical animal health. 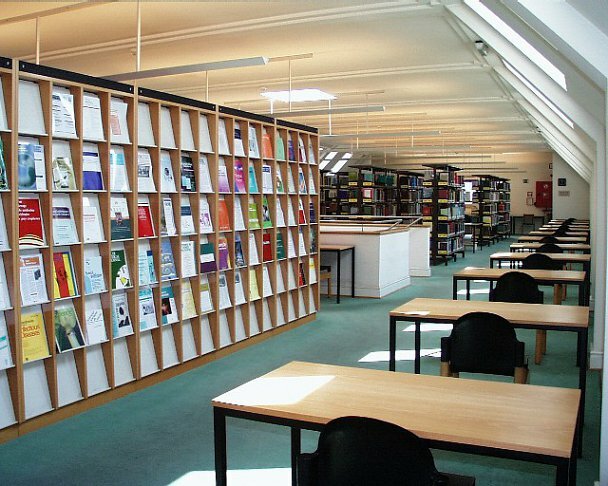 The library is open to ITM staff, ITM research fellows and ITM students. 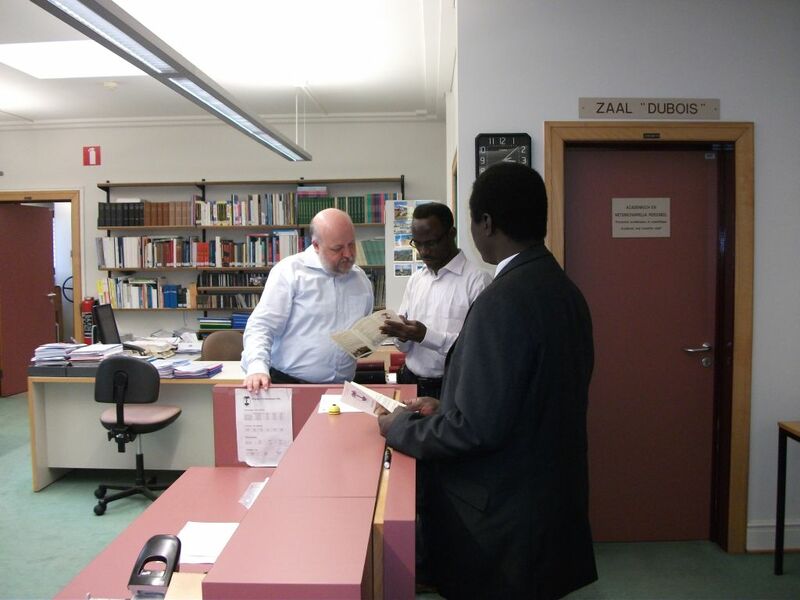 Other qualified people can also make use of the library facilities. Formal membership cards are not required, but non-ITM visitors are requested to register at the main entrance of the Institute at each visit. 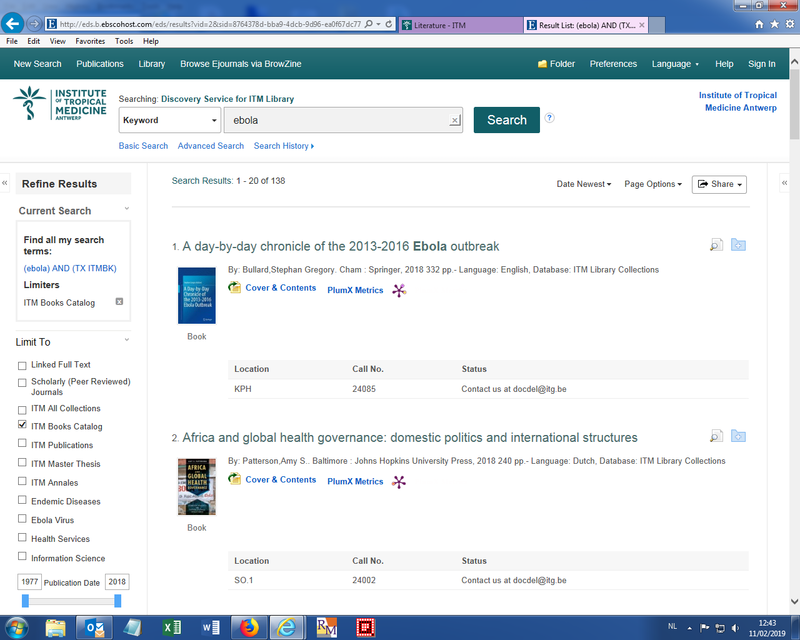 The EDS Search box (right) allows you to search most of our databases, journals and books in one go using this broadly focused discovery service. More specific collections can be searched using individual databases.